Entrance hallways and receptions are usually the areas that provide first impressions to potential customers and other visitors, so it is important that they stay clean and tidy. 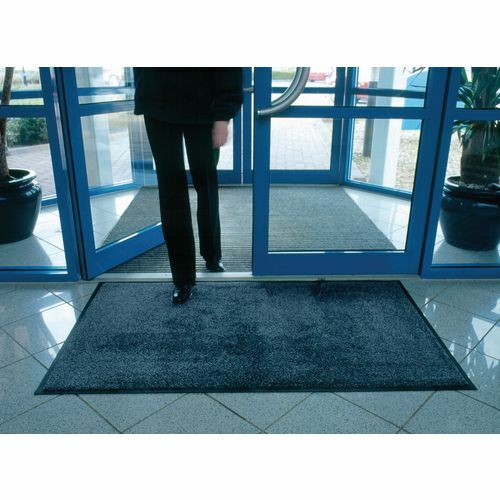 Our washable entrance mats will provide you with an easy solution to prevent dirt from being carried in on people's footwear when entering your premises. 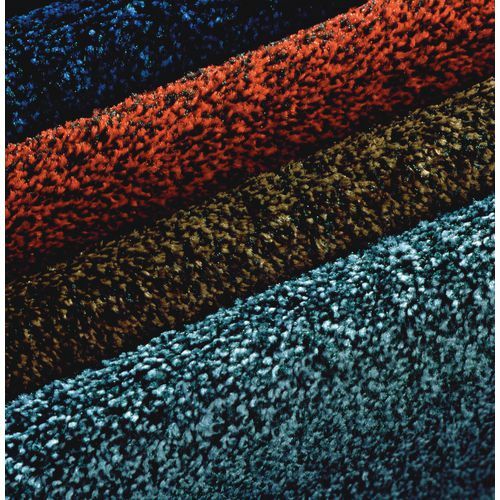 They trap up to 90% of tracked-in-dirt, grit, moisture and grease and they are machine washable in domestic washing machines at 60°C to keep the mats appearance clean as well. The slip resistant nitrile rubber backing makes this mat ideal for hard floors, preventing it from moving when being walked over, ensure they're extra safe. There is a choice of four bleach and fade resistant colours to choose from; black/blue, black/brown, black/red or black/steel. These mats are also available in three widths; 600, 850 or 1150mm and four lengths; 850, 1200, 1500 or 1750mm. Our washable entrance mats are a great way to keep your premises clean and presentable; they are available with a 12 month guarantee.